On October 7, 2015, we entered into a Joint Venture Agreement (the “Agreement”) with AlgaeCan Biotech, Ltd. (“AlgaeCan”) a Canadian corporation, pursuant to which we will act as a distributor and marketer of AlgaeCan’s Astaxanthin products. At the execution of the Agreement, we agree to purchase the Astaxanthin products at current Canadian wholesale markets value that AlgaeCan estimates is between $12,500 and $15,000 per kg. AlgaeCan has agreed to sell a minimum of 50% of its monthly production to the Company up to a maximum of 30kg per month. The Agreement is for an initial period of two (2) years with options to renew if both parties are amenable with the current terms. AlgaeCan denotes that the Company reserves the rights to distribute the Astaxanthin products throughout the United States of America and other regions outside of the United States if required. AlgaeCan gives the Company the right to market, brand and distribute the Astaxanthin products as it deems necessary. The Agreement may be terminated upon a thirty-day written notice by either party. The foregoing summary description of the terms of the Joint Venture Agreement may not contain all information that is of interest to the reader. For further information regarding the terms and conditions of the Joint Venture Agreement, this reference is made to such agreement, which is filed as 10.01 hereto and is incorporated herein by this reference. We plan to purchase natural Astaxanthin powder and then re-sell it through our distribution outlets in the United States as well as create our own brand of Astaxanthin to sell directly to consumers. We plan on selling our Astaxanthin to nutraceutical companies as well as environmentally oriented fish farms around the United States and eventually around the world. The Company has three major types of potential customers for its Astaxanthin products: Nutraceutical Companies, Fish Farms, and consumers. By purchasing our natural Astaxanthin at wholesale we are capable of selling anywhere in America at a competitive price with relative ease. With the natural food industry and farmed fisheries growing at such a rapid pace, we believe that our natural Astaxanthin will be a great marriage of the two; allowing the natural food enthusiast the possibility of eating farmed fish without worrying about petrochemicals being used to add color to the fish. The target markets for our natural Astaxanthin are located domestically in all 50 states and industrialized nations. Management believes that through an online presence, retail presence and word of mouth we will be able to reach the nutraceutical, and farming markets with our natural Astaxanthin products. The major markets for natural Astaxanthin are the nutraceutical formulators, and manufacturers of Astaxanthin-based food supplements for human consumption, and the farmed fish industries. In 2009, a market analysis for Astaxanthin products conducted by researchers at the University of Arizona estimated an existing market of USD $330 million (principally synthetic Astaxanthin as an animal feed additive). They predicted the market size would exceed USD $1.6 billion by 2020 with growth of 30% per annum in the use of natural Astaxanthin in nutraceuticals and significant growth in the use of natural Astaxanthin in pharmaceuticals and cosmetics. Our best assessment of the current global market for Astaxanthin is an estimated USD $500 million, including over USD $100 million attributable to the use of natural Astaxanthin in nutraceuticals and pharmaceuticals. The market for natural Astaxanthin is currently limited to the amount of production. Major Nutraceutical manufacturers have delayed launching natural Astaxanthin products, as suppliers cannot currently supply them with enough product for even a small product roll-out. Due to the limited amount of production, many fish farms do not want to spend the extra money in order to make their products more natural. We plan to utilize our joint venture and strategic partners and/or contract manufacturers for the production of our products and product candidates. The raw materials and supplies required for the production of our products and product candidates may be available, in the early stages of our Company from one supplier, and eventually, from multiple suppliers. In those cases where raw materials are only available through one supplier, such supplier may be either a sole source (the only recognized supply source available to us) or a single source (the only approved supply source for us among other sources). The Company currently relies on our sole supplier AlgaeCan biotech, Ltd., and other third-parties to produce, store, formulate and package the finished goods. Third parties will also provide order fulfillment, warehousing and distribution services. The Company plans on purchasing product in larger batches thereby increasing production efficiency for the outsourced suppliers, which will reduce costs. AlgaeCan Biotech, Ltd., manufactures and produces our natural Astaxanthin that our Company distributes. Third-parties will be responsible for the receipt and storage of the raw material, production and packaging and labeling of finished goods. At present, the Company is dependent upon our supplier AlgaeCan Biotech, Ltd. for the production (manufacturing) of all of the products that we plan to distribute. To the extent that AlgaeCan Biotech, Ltd., should discontinue the relationship with the Company; the Company’s sales would be adversely impacted. The Company believes at the present time it will be able to obtain the quantity of products and supplies it will need to meet orders. The Company purchases all of its natural Astaxanthin from AlgaeCan Biotech, Ltd., a third party supplier and manufacturer pursuant to our joint venture agreement. We do rely on our principal supplier AlgaeCan Biotech, Ltd., which manufacturers the natural Astaxanthin that we distribute. In the event that AlgaeCan Biotech, Ltd., the current supplier, is unable to meet supply or manufacturing requirements at some time in the future, the Company may suffer short-term interruptions of delivery of certain products while it attempts to establish an alternative source. The Company will also rely on third party carriers for product shipments, including shipments to and from distribution facilities. It is therefore subject to the risks, including employee strikes and inclement weather, associated with the carriers’ ability to provide delivery services to meet the Company’s fulfillment and shipping needs. Failure to deliver products to customers in a timely and accurate matter would harm the Company’s reputation, business and results of operations. 12 Month Growth Strategy and Milestones Based on Minimum, 50% of Maximum, and Maximum Offering Proceeds Raised The following growth strategy and milestones are based on the estimates made by management. The Company planned the goals and milestones after deducting estimated offering expenses estimated to be $40,000. Management prepared the milestones based on three varying levels of offering raise success: Minimum Offering proceeds raised of $100,000, 50% of the Maximum Offering proceeds raised ($500,000), and the Maximum Offering proceeds raised of $460,000 through the offering. The costs associated with operating as a public company are included in all our budgeted scenarios and management is responsible for the preparation of the required documents to keep the costs to a minimum. The working capital requirements and the projected milestones are approximations and subject to adjustments. Minimum Offering proceeds raised of $100,000 is budgeted to sustain operations for a twelve-month period. The minimum amount is sufficient to keep the Company current with its public compliance requirements with very nominal funds remaining for furthering the business of the Company. If we raise less than $100,000 we plan to proceed with our business plan as stated. We will resort to borrowing funds from our director or selling additional common stock. We have no commitments from our director or any other source to provide additional financing, and if we are unable to sell stock in this Offering we may not be able to raise money after this Offering through the sale of additional common stock. If we are unable to raise a minimum of $100,000 from this offering and/or obtain such minimum amount in combination with other potential sources of equity and/or debt financing on a timely basis, we will only be able to maintain minimal operations and will not be able to expand our business. We do not have any arrangements to sell additional shares at this time other than the proceeds from this offering. If the Company were to raise 50% of the Maximum Offering then we would be able to implement our business plan, develop and launch our mobile app. In the event we are successful in raising the Maximum Offering of $500,000; this will enable the Company to implement our business plan by developing and launching our mobile app which includes funds to market our app on an all-encompassing scale. If we begin to generate profits, we will increase our marketing and sales activity accordingly. We estimate that raising 50% of our Offering, will allow us to be able to finalize the development of our application, start marketing the application, selling the application and the advertising on the application which will allow us to begin generating revenue during the second quarter following closing of the offering. Note: The Company planned the milestones based on quarters after the closing of our offering. We believe that our currently available capital resources will not meet our present and near-term cash needs and thus we will require additional cash resources, including the sale of equity and or debt securities, to meet our planned capital expenditures and working capital requirements for the next 12 months. We will require additional cash resources due to implement our business strategy, to develop our application and begin our marketing initiatives. If our own financial resources are insufficient to satisfy our capital requirements, we may seek to sell additional equity or debt securities or obtain additional credit facilities. The sale of additional equity securities will result in dilution to our stockholders. The incurrence of indebtedness will result in increased debt service obligations and could require us to agree to operating and financial covenants that could restrict our operations or modify our plans to grow the business. Financing may not be available in amounts or on terms acceptable to us, if at all. Any failure by us to raise additional funds on terms favorable to us, or at all, will limit our ability to expand our business operations and could harm our overall business prospects. We do not maintain insurance policies covering our officers and directors from liability, or any other insurance. There can be no assurance that our insurance is sufficient, or that the policy coverage limits are adequate or sufficient in the event of an accident, negligence or an act of God. We currently do not have any patents or trademarks; and we are not party to any license, franchise, concession, or royalty agreements or any labor contracts. The industry in which we intend to compete is subject to intense competition. We believe that our ability to compete will be dependent in large part upon our ability to continually enhance and improve our products and technologies. In order to do so, we plan to effectively utilize and expand our research and development capabilities. Competition is based primarily on scientific and technological superiority, technical support, availability of patent protection, protection of trade secrets, access to adequate capital, ability to develop, acquire and market products successfully, ability to obtain governmental approvals and ability to serve the particular needs of customers. We intend to compete on the basis of safety, effectiveness, convenience, manufacturing superiority, intellectual property, and where appropriate, price. Supply does not currently meet demand. Future supply (as defined by current and planned supply expansions) is not likely to meet future demand (as extrapolated from current supply gaps, the expanding range of applications and consumer interest trends). Also, we will compete against chemically, non-naturally produced Astaxanthin companies. Because of the broad manifestation of inflammation in chronic disease, numerous pharmaceutical and biotechnology companies are developing or producing anti-inflammatory therapeutic agents. These companies include, but are not limited to: AbbVie, AstraZeneca, Bayer, Bristol-Myers Squibb, Eli Lilly, GlaxoSmithKline, Johnson & Johnson, Merck, Nestle/Pamlab, Novartis, Pfizer, and Takeda. In addition to competing with non-Astaxanthin anti-inflammatory drugs, we intend to compete with microalgal Astaxanthin nutraceutical products on the basis of our ability to purchase large quantities of Astaxanthin from our joint venture agreement. We believe our ability to purchase Astaxanthin from producers instead of investing in expensive production facilities will result in higher potential sales and that we will be able to achieve those sales at an earlier stage as we would not have to first invest in the production facilities to produce the natural Astaxanthin. Our success will also depend in large part on our ability to obtain international and domestic patent and other legal protections for the proprietary blends and trademarks that we consider important to our business. We intend to seek appropriate patent protection for our products where applicable by filing patent applications in the United States and other selected countries. We intend for these patent applications to cover, where applicable, claims for composition of matter, uses, processes for preparation and formulations. Our success will also depend on our ability, and the ability of our current and/or future partners to maintain trade secrets related to proprietary production methods for products that we, or our partners, intend to market. Our operations are subject to local, state and federal laws and regulations governing environmental quality and pollution control. We are unable to assess or predict at this time what effect changes in regulations or legislation could have on our activities. Actions taken at the national and international level, including the United Nations, can negatively impact our ability to generate revenue and may substantially impact our operations. Specifically, post-Kyoto action on climate change treaties, cap-and-trade systems, and related governmental regulatory schemes may significantly affect our ability to compete in a changing marketplace. Regulatory and food safety requirements. Astaxanthin has been approved by the US Food and Drug Administration (FDA), in small quantities, as a food coloring agent for animal and fish feed. Astaxanthin has an exceptional safety profile. For example, the FDA has responded with no questions regarding the conclusion made in GRAS Notice No. GRN 000294 by Fuji Chemical Industry Co., Ltd. (“Fuji”) that Haematococcus pluvialis extract containing Astaxanthin esters (the primary ingredient in its microalgal Astaxanthin nutraceutical product) is Generally Recognized as Safe (GRAS) under the intended conditions of use. Other microalgal Astaxanthin nutraceutical manufacturers, including Cyanotech Corporation and Algatechnologies, Ltd., have relied on Fuji’s GRAS designation and self-affirmed their Astaxanthin products as GRAS. Because the FDA has awarded the GRAS status to natural Astaxanthin products sold by Fuji Chemicals and Algatechnologies. GRAS is an FDA designation that a chemical or substance added to food is considered safe by experts, and so is exempted from the usual Federal Food, Drug, and Cosmetic Act food additive tolerance requirements. The growth and sale of natural Astaxanthin is not specifically regulated in the US. The sale of retail products containing Astaxanthin, however, is regulated. The natural health products industry is anywhere from highly regulated to loosely controlled, depending on the country. We have adopted Standard Operating Procedures (SOPs) for handling, batch testing and long-term sample storage and is compliant with Good Manufacturing Practices (GMP). As a manufacturer of nutraceuticals and supplier of products for nutraceuticals we intend to expend time, money and effort in the areas of production, quality control and quality assurance, including compliance with stringent record-keeping requirements. Manufacturing establishments are subject to periodic inspections by health authorities, in order to assess, among other things, compliance with GMP. Animals and humans have been ingesting natural Astaxanthin for thousands of years and testing has been conducted on natural Astaxanthin for health benefits since the 1950’s. Not only have tests failed to discover any negative health consequences related to ingestion of natural Astaxanthin, but they have also failed to determine a lethal dose of Astaxanthin. 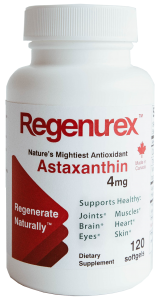 The likelihood that the natural form of Astaxanthin is ever found to be hazardous to health is extremely unlikely as the human body has grown adept at absorbing it over thousands of years. Synthetics cannot make those safety claims and their use is regulated and limited to use in small quantities as a coloring agent in animal and fish feeds. We must comply with regulations under the Occupational Safety and Health Act, the Environmental Protection Act, the Toxic Substances Control Act and other federal, state and local regulations. We are subject to federal, state and local laws and regulations governing the use, generation, manufacture, storage, air emission, effluent discharge, handling and disposal of certain hazardous or potentially hazardous materials. We may be required to incur significant costs to comply with environmental and health and safety regulations in the future. Our activities are also potentially subject to federal and state consumer protection and unfair competition laws. We are also subject to the United States Foreign Corrupt Practices Act, or the FCPA, which prohibits companies and individuals from engaging in specified activities to obtain or retain business or to influence a person working in an official capacity. Under the FCPA, it is illegal to pay, offer to pay, or authorize the payment of anything of value to any foreign government official, governmental staff members, political party or political candidate in an attempt to obtain or retain business or to otherwise influence a person working in an official capacity. In addition, federal and state laws protect the confidentiality of certain health information, in particular, individually identifiable information, and restrict the use and disclosure of that information. At the federal level, the Department of Health and Human Services promulgated health information privacy and security rules under the Health Insurance Portability and Accountability Act of 1996. In addition, many state laws apply to the use and disclosure of health information. Any effort to produce our own Astaxanthin may require significant environmental impact analysis and operating and environmental permits. We may not be successful in obtaining the necessary permits, and any environmental analysis may be costly and produce adverse results that would prohibit us from proceeding with any implementation of our technologies. We expect to comply with all applicable laws, rules and regulations relating to our intended business. At this time, we do not anticipate any material capital expenditures to comply with environmental or various regulations and requirements. While our intended projects or business activities have been designed to distribute natural Astaxanthin for which no specific regulatory barriers exist, any regulatory changes that impose additional restrictions or requirements on us or on our potential customers could adversely affect us by increasing our operating costs and decreasing potential demand for our products or services, which could have a material adverse effect on our results of operations.